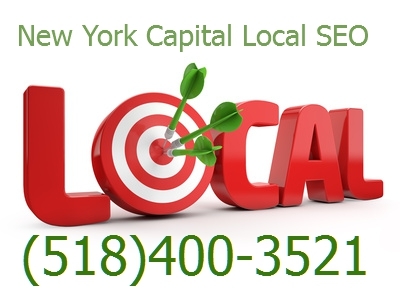 New York Capital Local SEO is here to help you manage your Local Small Business web presence. Most business owners don't know how to do local search engine optimization (SEO) or maximize local lead generation. Those that have the knowledge do not have the time or patience necessary to correctly promote their website. New York Local SEO has the experience and a resource to allow the business owner to be confident that his/her web presence is being managed for optimum lead generation and monetization. This permits the business owner to spend more time on doing what the business owner does best-- run a business. In today’s economy, if you have a business, you need a website. That part may be simple; however, just putting up a website isn’t enough. A site is nothing unless it has direction. Think of your website as a “vehicle” to your success. There are big, fancy, beautiful vehicles and small, simple, not so fancy vehicles. At the end of the day all that matter is triumphantly getting to your destination. All too often web design companies talk businesses into spending thousands of dollars on fancy, frilly website and then once the check is cashed, the business is on its own. Without the proper lead generation techniques and vigilant attention, that website will few or no business leads. Deprived of the proper strategy, and the right service monitoring your site it becomes just another site that once in a while a customer may stumble upon. What you need is a website that ATTRACTS customers. It will not run on autopilot. It needs a reliable, resourceful online marketing expert to keep the site on the right path so that it will pay for itself over and over again. You need New York Capital Local SEO.